They truly make our day and their lives too! At Scottish High, the activities start as the first ray of sun kisses the earth. At the sound of bugle, the fleet of air-conditioned buses drive down to various parts of the city to bring the children. 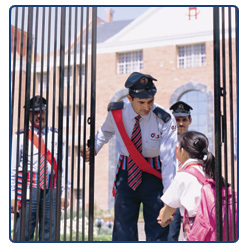 Every bus is provided with security personnel in addition to a caretaker to ensure the safety of the children in transit. They are provided with communication devices which keeps them in contact with the school throughout the journey. As the buses return they are welcomed to the sonorous tunes of the bagpiper. On alighting, the students are escorted to their respective classrooms by the ushers specifically appointed for this purpose. 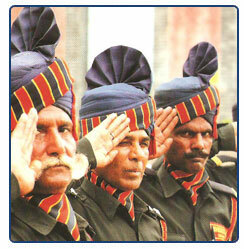 Elaborate security arrangements have been made in the school premises to ensure the safety of every child. The staff has been provided with proximity cards, identity cards for students and parents, scrutiny of authorized personnel who come to the school to drop and pick up children every day. The school has an elaborate fire-fighting system with early warning alarms and smoke alarms. Disaster management systems, evacuation plans and fire drills have been put in place to handle the situation in case of an emergency.